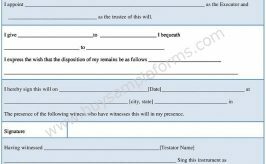 It is extremely important for every person to write his will. This helps him have a desirable distribution of whatever assets he has. This helps him clearly state his choices without letting the courts of law decide what has to done with his property and assets after his death. Will is very helpful in protecting a person and the people he leaves behind, who are important to him. And every country has its own will form which has to be followed while creating this important legal document. In this post, we have will form for your reference. 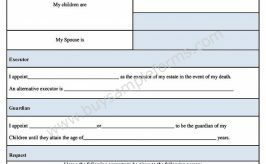 So to keep things clearly sorted even after your death, create your own will sitting at home. 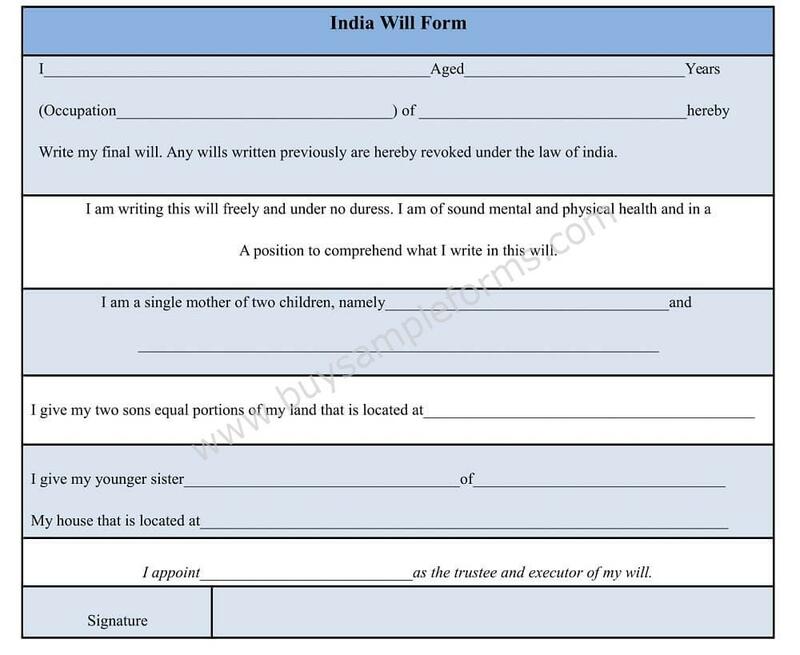 You can use this Will Form template by downloading it and customizing it as per your requirement. 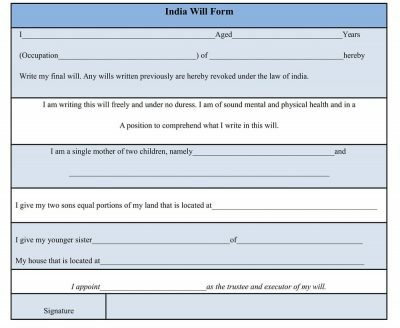 We have it in MS Word and Editable PDF which can also be printed to help you have your own will as per the law of India.